Looking for a fun and festive drink to serve on game day? Try a delicious twist on a soda shoppe favorite: the grown-up root beer float. With ice cream and vanilla-flavored vodka, it's a decadent take on a classic and crowd-pleasing drink. The Margaritaville® Bali™ Frozen Concoction Maker® with Self Dispenser has a convenient self-serve feature that makes it a great option for using at game day parties. Guests can help themselves without missing a second of the action! Mix a big batch of frozen root beer floats in your Margaritaville® Bali™ Frozen Concoction Maker® - they're a surefire touchdown! A legendary root beer float starts with high quality ingredients. Choose your favorite type of vanilla ice cream and a craft or locally made root beer that uses real sugar. Finally, a vanilla-flavored vodka completes the frozen concoction. 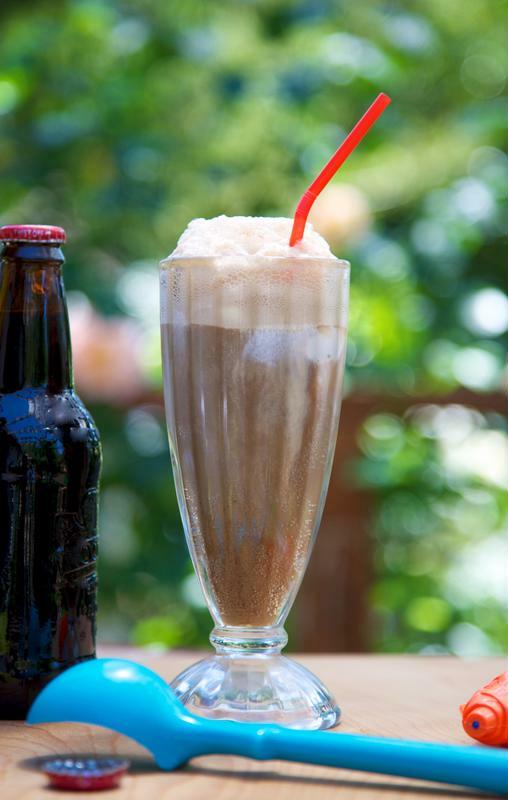 A real root beer float comes in a chilled glass to keep the contents cold. Do the same on game day by placing large glass mugs in the freezer for 1-2 hours until they are chilled. Go the distance on game day with grown-up root beer floats made with your Margaritaville® Bali™ Frozen Concoction Maker®. To make your root beer float, start by adding ice to the reservoir and the vodka, root beer and ice cream to your Margaritaville® Bali™ Frozen Concoction Maker® with Self Dispenser. Mix and pour into the chilled glasses, and then serve. To make your root beer floats extra special for game day, add in a variety of toppings. Try a generous swirl of whipped cream, chocolate shavings or caramel sauce on top for even more indulgent frozen concoctions. Keep the frozen root beer floats flowing even into overtime by setting up your Margaritaville® Bali™ Frozen Concoction Maker® with Self Dispenser in your party space. Have lots of ice on hand as well as the essential ingredients, chilled glasses and garnishes. Serve tasty snacks alongside the root beer floats like chips and salsa, mini burritos and sliders.